Advance Oil field supplies a is one of largest stock holder of wire ropes in UAE. We sales some of the world’s leading brands such as Bridon & Kiswire. Some features are as below. 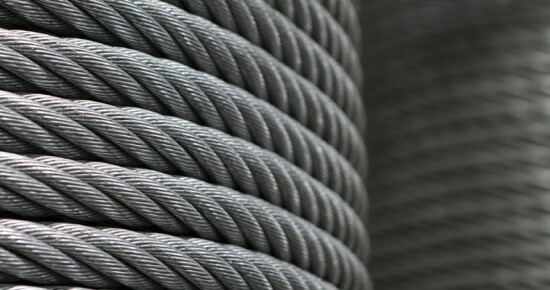 Wire rope slings are extremely strong, very reliable when it comes to heavy jobs lifting, however, their use has undoubtedly changed today with their usage increasing every day in different industries, so it’s not just about being strong, it’s about being reliable but most importantly safety. We are proud of our impeccable safety record as one of the most renowned suppliers of wire rope slings. We offer wide varieties of wire rope sling coming in different sizes. Our wire rope slings offer dependable and economical options for daily basis in lifting objects like cargo transit container, on offshore service equipment and for much other subsea lifting application. Our wire rope slings are enhanced by numerous sling configurations to support other applications in different industries, including engineering industry, shipping industry, strands, lift and elevations, mining industry and many other similar sections. These configurations include single and multi-parts slings, single leg slings, grommets, multiple leg brindles, and wide variations of fittings and attachments. In addition to meeting the demands as a standard sling, our wire rope slings are also designed to be flexible and to be able to handle higher capacity, mostly by increasing the diameter of the sling. Our dedicated team of employees has helped leading companies across all industries across the globe solve their lifting as well as individual needs. We offer an exclusive product range to at a very competitive price to cater the vast majority of our customers. Our experts are quick enough to understand and grasp specific customization, So we design custom size wire ropes as per client requirements, that then main reason our company is honored among the leading wire rope slings suppliers around the world. With requisite material and load bearing, capacity and our customer working load limit we ensure that we bring forth the best highly efficient wire rope slings. We are emerging as a promising supplier since we are ISO 9001 certified company, offering wire rope slings in all sizes and types all that meet local as well as international standards. Choose from many of our standard sling styles; we have different options available, whether its eye hook, thimble, sorting hooks, standard eyes, and much more and if you want to custom design your sling to fit your application. We will do all we can to give a product that fits your budget and your special needs. Working Load Limits for using Steel Core rope of classes 6 x19, 6x 36 and 8×36, and having ferrule secured eye terminations.